Who are Expert Hearing Care? Expert Hearing Care were founded in 2012 by Amit Sahni who is university trained audiologist with over 15 years in the area of hearing care, testing and the fitting of digital hearing aids. We opened Expert Hearing Care with the desire to once again provide the people of Perth with access to professional hearing care. In contrast to other hearing care clinics in Perth, Expert Hearing Care is not owned by a hearing aid manufacturer or global hearing care network. This means we can identify the best treatments for our clients from the full range of available solutions – including tinnitus management, rehabilitation, counselling and hearing aids from all leading manufacturers. Additionally, we pass on the benefit of our lower cost structures to our clients to ensure modern hearing solutions remain affordable to all people within our community. Further to this, we offer discounts to holders of a WA Seniors Card. Expert Hearing Care are government accredited to provide services and free hearing aids to pensioners and veterans under the OHS Voucher Scheme. Many people are surprised to learn that hearing aid manufacturers now own most of the hearing clinics in Perth. So when they walk through the doors of those clinics looking for unbiased advice on their treatment, they are walking into a clinic who exists for the sole purpose of pushing the products of their owners. Rather than being independent, their audiologists are incentivised to sell the owners products, including commissions and keeping their job! 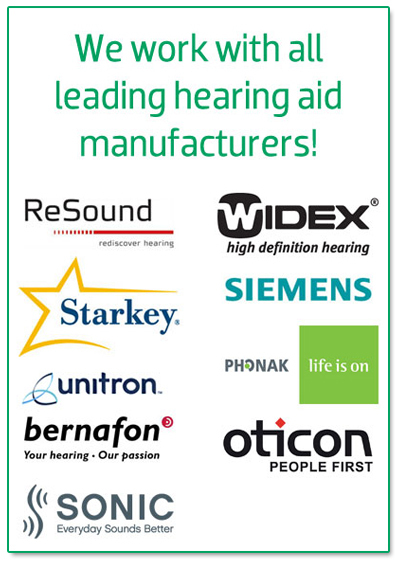 William Demant Holdings are a Danish company who own Oticon hearing aids, Bernafon hearing aids, Sonic hearing aids and the clinics including Hearing Life, Western Hearing Services and AudioClinic. Sonova is a Swiss company who own Phonak hearing aids, Unitron hearing aids and the Connect Hearing network of hearing clinics. Widex is another Danish company who own Widex hearing aids and Bloom Hearing clinics. Amplifon is a huge international retail hearing network with headquarters in Italy who own Australia’s National Hearing Care. If you are seeing a hearing care provider, ask the Audiologist if the clinic is owned and operate by an international company that also manufacturers hearing aids. This may go some way to explaining their recommendation that you are fitted with a particular make of hearing aid. Located in 6 convenient locations (Morley, Joondalup, Applecross, Mandurah, Warnbro, & Midland), Expert Hearing Care is dedicated to providing improved quality of life through innovative technology in harmony with professional, friendly services. Adherence to the highest standards of professional conduct as represented in the code of ethics and standard practice of profession. Expert Hearing Care clinic is equipped to provide complete hearing evaluations as well as comprehensive hearing aid fittings.